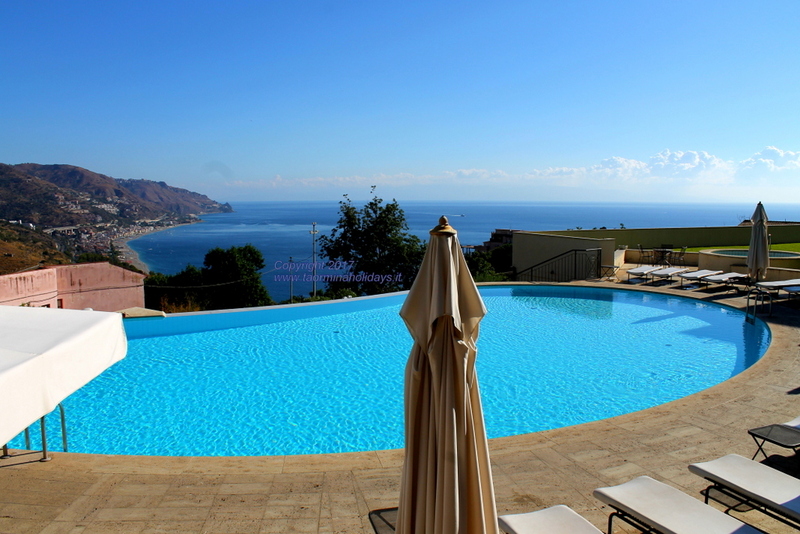 Wonderful apartment located in the luxurious residence in the heart of Taormina. 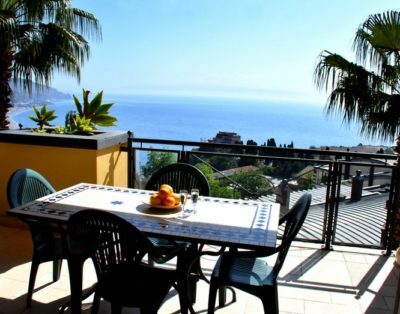 Garage with reserved parking and elevator that will take you directly to the appartment or to the center of Taormina.The appartment is 110 m². Three bedrooms for 6 people, a sofa bed for two people in the living room – maximum total of 8 beds*. Two bathrooms, one with shower and the other one with bath-shower.Air conditioning in the summer and heating in the winter so that you can stay in this wonderful apartment all year round!Maxi 42-inch LCD screen with DVD player and satellite system. Equipped kitchen with dishwasher. Fine furniture. There are also table, chairs and bench on the terrace. 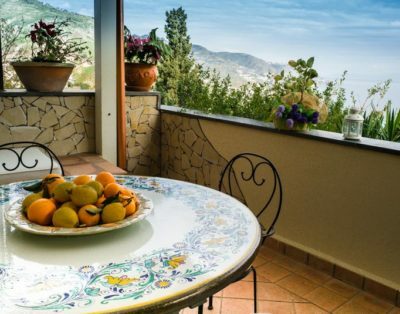 Available free WI-FI internet connection.The apartment has laundry area with washing machine.A wonderful Stone Lava decorated table on the terrace will help you to enjoy aperitifs or romantic meals with the sight of a lovely view.